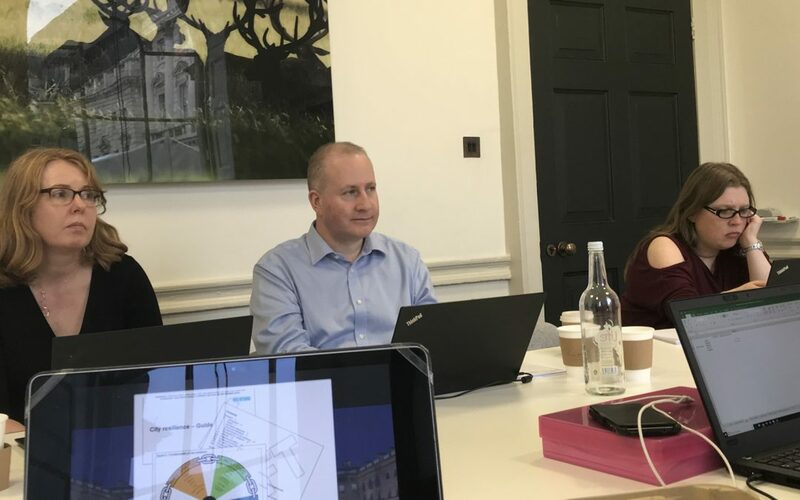 The post public consultation review took place at Somerset House in London’s Strand on the 5th November 2018 hosted by Boomerang Communications Ltd and refinements will now take place to take all that feedback into consideration. If you are attending the International Security Expo in November you will be able to hear an update on the progress which the BS67000 Standard team has made over the last five years to bring this new British Standard to life. The City Resilience PWG will also be planning a City Resilience event in Q1 2019 to help promote the emerging standard and to help raise awareness of WHY this is important for City Stakeholders to take seriously and WHAT can be considered by those tasked with increasing the resilience capacity in our cities. Further to the British Standard update we are now on the lookout for positive resilience case studies within U.K. cities that are attempting to tackle real shocks and stresses and which demonstrate real success in what they are attempting to achieve. One example of this is the Cotton Street Homeless project in Liverpool which is now being addressed with the support of a private / public sector partnership led by Lawrence Kenwright at the Signature Group. This is an amazing resilience story coming out of Liverpool which is demonstrating real life positive outcomes. After visiting the centre last week I was pleased to hear that after just one week a new “guest” was supported into shared accommodation and is now seeking a job. But private sector can only do so much and when citizens step up to do their part the politicians also need to increase their response and in positive collaborations such as this in Liverpool they tend to listen. Mayor Anderson’s reply was that this was a “complex question” which had a “complex answer” but just 2 days later he posted this article in the Liverpool Echo. This is a positive step forward for all of the Homeless in Liverpool but what about all of the other cities in the U.K.? To be a truly resilient city no one should be ignored or left behind when they are vulnerable so please email me on pjoyce@preventprotectprepare.com if you have any positive City Resilience case studies you are happy to share and I will attempt to get some of these recognised in the new standard and through other channels.